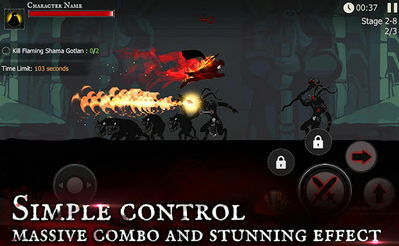 If you're a fan of fast-paced RPG platformers, then this once is for you. You get to fight powerful enemies, Collect swords, weapons, awesome armors, and use a variety of lethal weapons and rare armor to defeat the dark creatures and other foes! 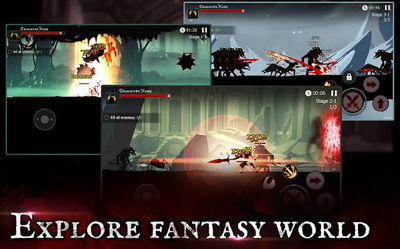 Use multiple skills to defeat the monsters and enjoy epic combat sequences. The controls are pretty easy so you can enjoy the game even more. Fight your way through 3 different demon-filled lands, and pass the Challenge & Adventure modes to become the best warrior in the kingdom!